Despite, or because of tough global economic conditions, the retail sector in Malaysia appears in rude health. Development of new malls continues at a phenomenal pace with at least 3,500,000 square foot of additional retail space becoming ready this year in the Klang Valley alone. This will bring the total amount of retail space in the Klang Valley up to about 55 million square feet. 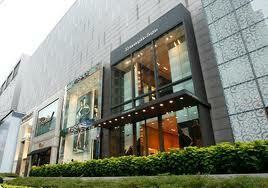 Passing almost unnoticed is the proliferation of international luxury brands in many of those malls. 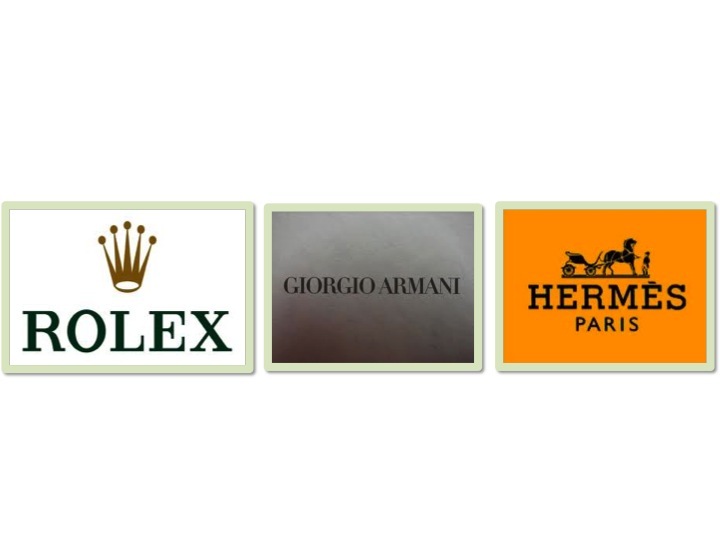 Familiar international names such as Giorgio Armani, Prada, TOD’s, Van Cleef and Arpels to name but a few, have all entered the local market in recent years, encouraged by the success of exclusive names such as Bulgari, Cartier, Hermes, Louis Vuitton, Rolex and other famous names long familiar to Kuala Lumpur shoppers. Unusually for a Malaysian mall, The Pavilion has clustered its luxury boutiques into a high profile area facing Bukit Bintang. Globally, this clustering of stores is nothing new. 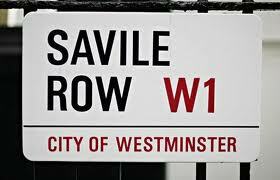 For centuries stores have organized themselves into districts based on what they sell – think Saville Row in London (tailors), Faubourg Saint-Honore in Paris (designer boutiques) and Deira in Dubai (jewelry). The cluster approach allows the rich and famous to be surreptitiously dropped off in front of a mall, rush in and make a purchase that would make a small African country drool and then rush out into the safety of the limousine without having to rub shoulders with us mere mortals. With its double story street facing façade the luxury section or ‘couture precinct’ of the Pavilion was an exciting development in the evolution of the retail sector in Malaysia. Just across the road, Star Hill Gallery has battled gamely to become a luxury mall with an eclectic mix of exclusive boutiques and lifestyle outlets. Meanwhile, over at Sentral, the Gardens, after a slow start has attracted one or two luxury brands. The KLCC mall, at the base of the Petronas Twin Towers on the site of the former Selangor turf club had a rough start but has since attracted a number of luxury brands including Jimmy Choo and Chanel but has traditionally preferred them to be scattered throughout the mall. However this has changed with the new extension that features a new Giorgio Armani store that also has an Armani Cafe as well as new Chanel and Cartier stores. One thing all these malls have in common is a distinct lack of luxury British Brands. Sure there are some – most recently Anya Hindmarch and Thomas Pink, Burberry and Aquascutum made the move a few years ago but considering the long association with Britain and the importance of the luxury segment, there aren’t too many. 1. Rigby & Peller: A family-run lingerie and corsetry firm awarded a Royal Warrant in 1960. It has a sterling reputation for expert bra fittings and beautiful designer swimwear and lingerie and a made-to-measure service. 2. Burberry: Famous for the iconic trenchcoat, this classic British company revels in its distinctly British attitude. Founded in 1856, the company’s core values are luxury, quality and timeless style, expressed in a modern way. 3. Mulberry: Luxury English fashion, “inspired by the cool of the city and the craft of the countryside”, is Mulberry’s speciality. 4. Barbour: Boasting three Royal warrants, Barbour is that rare entity, a family-owned, women run company. Since 1894, when it was established to provide waterproof oilskin jackets to sailors and dockyard workers in South Shields, this quintessentially British brand has created durable country-style clothes with impeccable attention to detail. Its wax jackets are known to last a lifetime. 5. Aspinal of London : This 10 year old company, or should I say upstart is dedicated to producing impeccably high quality and beautifully designed handmade leather products that draw much from traditional craftsmanship. 6. Asprey: Asprey has employed the best craftsmen to design and the best materials to produce exceptional jewellery, leather goods, silverware, homewares and timepieces since 1871. 7. Smythson: Frank Smythson opened his first shop in 1887, selling exquisite stationery and leather goods. In the digital age, the shop’s collection of beautiful diaries, handbags, purses, wallets and stationery continue to be in demand. 8. Aquascutum: Wonderfully understated British elegance at its best. Famous for inventing waterproof cloth and the raincoat, the company makes clothes that combine fine craftsmanship with luxurious tailoring. 9. Dunhill: Alfred Dunhill’s legacy continues to cater for the discerning man who wants to wear elegant clothing and fine fragrances and match it with luxury kit such as pens, lighters and timepieces. 10. Loake: Family-owned since it was established in 1880 and with a Royal warrant from the Queen, this quintessentially English boot maker employs traditional craftsmanship to produce fine, handmade footwear for men. Of these distinctly British retail brands, only Burberry, Aquascutum and Dunhill are here. Of course there are some pretenders to this list who have set up in KL, notably Thomas Pink and Anya Hindmarch but we’re still a little light on British luxury brands. Which is surprising really because although the United States remains the world’s largest consumer of luxury products (by a country mile), burgeoning middle classes in developing countries are creating new opportunities for luxury goods providers. According to the MasterCard Worldwide Insight report, the value of the market for luxury products and services in the Asia Pacific region will be US$258.7 billion in 2016, up from US$83.3 billion in 2007. Not a bad category. What’s more, there’s already a ready made market because the largest number of tourist arrivals to Malaysia is from ASEAN countries, followed by Japan and China with India and the Middle East not far behind. And the burgeoning middle classes from these countries are notoriously brand conscious. And this interest almost obsession with brands is likely to continue according to Radha Chadha, author of “The cult of the luxury brand”. She believes that the Asian interest in luxury products is because of the massive changes – social, cultural, economic and political – that have been affected by the traditional attitudes to who you are and where you are in the societal food chain. She believes that over the past 50 or so years, many of the traditional cultural indicators of social standing in Asia – profession, family, clan, caste have been eroded by the onset of globalization, migration and education. Displaying one’s status through outward appearances of rank and wealth is nothing new but Asians seem to have taken to it like the proverbial duck to water. And those LV bags, Chanel suits, Jimmy Choo shoes aren’t simple female indulgences, they are part of a new world order that identifies the wearers position in society. Indeed, these luxury brands are a modern set of symbols that Asian consumers are using to redefine their identity and social position. The Japanese have been devouring brands for years. 94% of Japanese women in their twenties own a Louis Vuitton bag. Visit the Louis Vuitton shop on Bukit Bintang and the chances are you will see a group of Japanese shoppers being fussed over by staff. Asia now accounts for a third of Louis Vuitton sales worldwide whilst Cartier depends on the region for half of its worldwide sales. And what of China? According to the China Brand Strategy Association, 250 million Chinese people can now afford to buy luxury products, up from 175 million 3 years ago. Already, Chinese consumers are responsible for about US$10 billion of global luxury sales. According to McKinsey, that figure is expected to grow to US$27 billion in 2015, accounting for about 20% of global luxury sales. And although a lot of those Chinese are travelling to Europe, only 147,000 Chinese visited the UK in 2011, compared with 1,250,000 who visited Malaysia in the same year. But it is not only the Chinese who are buying luxury products. Indians and consumers from the Middle East, are prepared to splash out on high-end goods and will often save for months to buy an expensive handbag. And Malaysia is on the radar of more visitors from these countries. So as traditional European and US markets stumble through the economic quagmire, the time is ripe for luxury British brands to establish themselves not in the UK, but in Malaysia and use it as a gateway to developing markets.